I was astounded to see the updated site of Mosbeau Philippines. And I can say that Angel Locsin is one true beauty! Take the first step to a MOSt BEAUtiful career, APPLY NOW! CLICK AD FOR BETTER READING/VIEW. teaser: much-awaited press lunch is finally comin! Finally! the date has been set. Once and for all, Mosbeau Philippines plotted its final date for its much-awaited press launch which will be on the 8th of February, 2010. The said company will then be launching its products here in the local market and at the same time, launch Angel Locsin as the product endorser. something exciting to look forward to..
excited for Angel’s photoshoot tomorrow.. And aside from the privilege of seeing her personally, I also get the chance to do a little Q&A with her..
now im just wonderin what questions to ask her.. hmmmmm.. Unfortunately, the photoshoot which was tentatively scheduled for yesterday (december 07, 2009) did not push through. No confirmation from Angel’s party. Mosbeau now is assuming that the photoshoot will then have to push through next week. “Rain or shine” as they may say. To bad, the press launch is in much delay. No specific reasons where provided by the company on why the schedules had been postponed several times. However, the company assures that Angel is definitely endorsing Mosbeau Products. 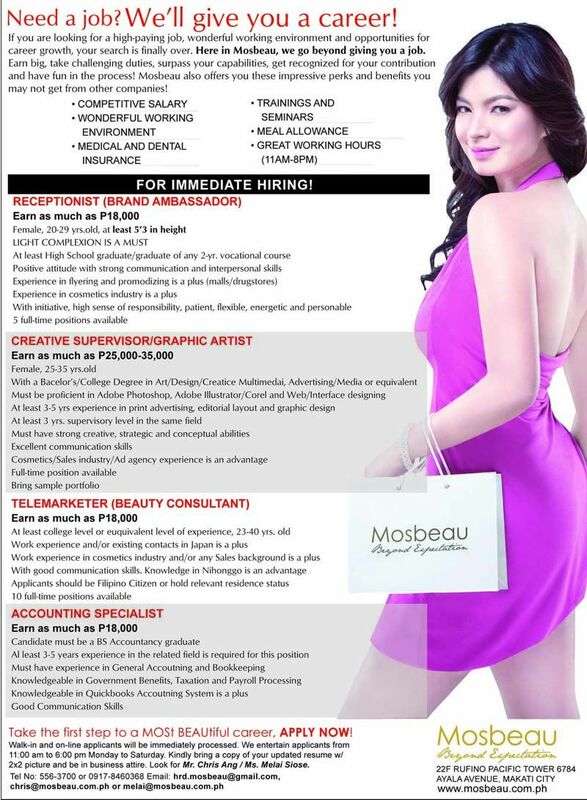 Here is the link to the company site of Mosbeau Philippines.